Your credit score is an important part of your financial portfolio. While life offers many opportunities for people with good credit scores, those of us that aren't in such a great place will find that their financial standing is a lot more complicated. A foreclosure is a one-way track to a lower credit score. This king of ding on your credit score will stay on your report for a minimum of seven years. The best way to avoid a foreclosure is to make your mortgage payments on time. People that fail to meet their payments end up incurring hundreds or thousands of dollars in interest. Once the payments are too high for the homeowner to pay, a foreclosure is unavoidable. Even if you can buy another house in the future, having a foreclosed home under your belt is something that will make future homeownership incredibly difficult. When a debt is settled, the insurance company is paid a single amount for the records to be settled. This process will keep you from paying the full amount of your debt, saving you money but also taking your credit score down. From the creditor’s perspective, settling your debt means that you are not satisfying your original deal when you took out the credit. Filing for bankruptcy is one of the fastest ways to bring your credit score down. With bankruptcy, you may not have to pay your debts at all or you may create a plan to pay them back. However, when a creditor sees that someone has filed for bankruptcy, they are unlikely to ever grant that individual credit. It can be a force of habit for some consumers to max out card after card. However, this habit is one way to make sure your credit score is on the road to ruin. If you have given up on meeting the minimum payments on your cards, your credit card will ultimately become maxed out. Consequently, the debt will be sent to a collections agency and may continue to collect interest. 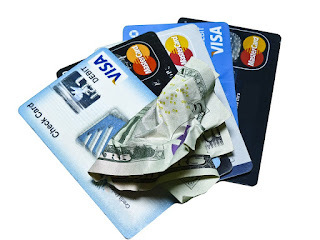 In addition to the debt that you owe, your maxed out credit cards will show creditors that managing money isn't your strong suit. Ultimately, you may not be able to get a new line of credit for sometime. In addition to maxed out cards, late payments are another way to bring your credit score down. For a payment that is more than 30 days late, creditors can make a report to credit reporting agencies. If you hope to improve on your credit score and haven’t maxed out your cards yet, try to keep an eye on your payment deadlines. By paying the minimum every month, you will be able to relatively easily handle your debt rather than waiting for a collection agency to take hold of your debt, all the while ruining your credit score. Showing your inability to keep the proper funds in your debit or checking account will also negatively affect your credit score. Such is the case with a bounced check. When you write a check that you can’t cash, your bank account won’t be the only thing to take a hit. Your credit score will be affected if you consistently write checks that bounce. Most landlords will request rend at the start of each month. If your rent is regularly late, your landlord has the right to report you for a late rent payment. If your rent is late for up to 30 days, it is very likely that your score will be negatively affected. While you think you may be getting away with being just a few days late, it’s best not to make a habit of it. It is a good idea to regularly monitor your credit report for inaccuracies. If your report has errors, you will need to contact the credit reporting agencies to have everything sorted out. Errors that go unchecked may harm your credit score. While you’re getting into the habit of checking your credit report, you may want to investigate a credit repair program—a great way to get your credit back in good standing. Whether you've recently opened a line of credit or are cutting up your last card, knowing how to maintain a positive credit score will always pay off in the end. If your score isn't where you hoped it would be, you can always improve on it. Keep these eight factors in mind to help you stay focused on building the best credit.